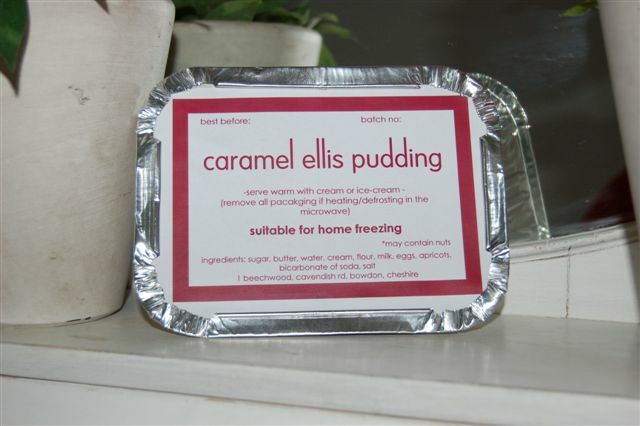 There is this pudding (a family recipe) that is a hit every time I make it. So I thought: why don’t I try and market it. At first I didn’t know whether it was a good idea, but then I thought: what the heck – I’ll just give it a whirl and see how it goes. I went around to my 2 local Farm Shops, and the first one has come back with my very first order! Next Saturday, 14th July 2007, I shall be doing my first tasting at the Red House Farm Shop (http://www.redhousefarm.co.uk/) to co-incide with the opening of their their amazing-maize. It has all been a bit of a rush to get things ready, but I am enjoying it each step of the way.